About a week ago, Pam from Moms RUN This Town posted about a FB group which matches runners to children who are unable to run for themselves. It’s a free group, with the aim of getting the word out on disorders and disabilities to help heighten awareness and acceptance called I Run for Michael. The stories within of these children and families are AWE INSPIRING and beautiful. I can’t even read the words on the page without tearing up and praying and praising God for them. That’s what the group is ultimately about for me. I was matched up on Monday night, just before I went to bed, with Malachi. He is 3 days younger than my daughter, and has Downs Syndrome. His mom, Sally, and I have been messaging to get to know one another and so that I can learn about Malachi. I’ve been thinking about him constantly since we were matched. He’s simply adorable and his mama is so very sweet. On Tuesday, I was able to for him. I knew nothing about him at the time, except for his name. 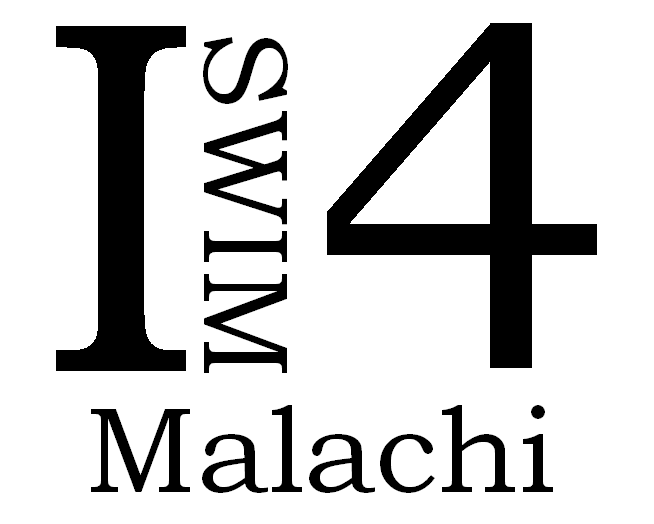 Thankfully, over the course of the day, Sally and I were able to talk a bit and I learned about who Malachi is. On Wednesday, three of our children are part of CLUB262 and Wednesday are group run days. We talked about Malachi and I asked them if they would each think about, and pray for, Malachi as they ran, dedicating their miles to him. My husband and I explained that while we all run for ourselves, it’s nice to dedicate our runs to something bigger. I Run 4 Michael allows us to do this and still earn for ourselves (when you’re 5, you may not want to give away that medal you earned). 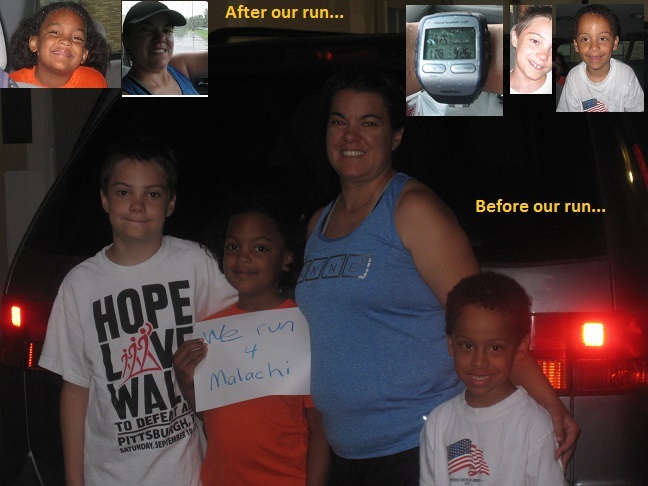 All three children said they’d be happy to run for Malachi with me, our oldest, 10, with tears in his eyes. Tonight will be her first swims for Malachi. I’m very proud of her for wanting to do this. And, I hope that I Run 4 Michael helps my children to learn to give of themselves in a real open-hearted sort of way. If you’re a runner, or do anything active at all, I hope you’ll at least look into I Run for Michael. If you’re the parent of a child with special needs, I think it would be wonderful if you would consider letting someone run (be active) in honor of your child.